Piper Jaffray analyst Gene Munster offered one of the least enthusiastic views on the announcement, noting that Apple already has significant enterprise penetration while postulating that even "if half of the Fortune 500 were to each purchase an incremental 2,000 iPhones and 1,000 iPads above what they were planning to purchase as a result of the IBM deal, it would mean about a half a percent to CY15 revenue." Munster also offered a broad interpretation of the "exclusive partnership" the two companies detailed, writing, "we expect IBM to eventually offer similar solutions on Android over time." "Robert X. Cringely" similarly offered a dim view of IBM's business apps and flatly predicted that "iOS cloud services from IBM won't happen," concluding that "neither company will be seriously affected by the other. It's just not that big a deal." IBM's existing mobile business apps and cloud services certainly don't look capable of dramatically boosting Apple's iOS sales on their own. But that's not what the companies announced. Instead, the two described "exclusive" plans to work together to "transform enterprise mobility through a new class of business apps." As noted in greater detail below, the language both companies use in describing their partnership indicates that it is not merely an effort to sell a few companies an extra thousand iPads. Apple and IBM have big goals in mind. At the same time, Apple and IBM are not suddenly working together for the first time. We're a very long ways from 1982, when IBM entered the new microcomputer market that Apple had ignited with the Apple II. Apple initially "welcomed" IBM to the computer market (below), as a much larger competitor. It subsequently portrayed Big Blue as a 1984 Big Brother in 1984 with its iconic original ad for the Macintosh. It then insulted IBM and its customers even more explicitly in "Lemmings," a second and even more provocative SuperBowl ad that portrayed blindfolded PC users marching themselves off a cliff. By the late 80s, IBM had lost control of the PC to Microsoft on its own, and failed to win it back with its proprietary design for new PS/2 systems. While IBM sold notebooks and tablets that competed against Apple's PowerBooks and Newton MessagePads in the 1990s, throughout that decade Apple and IBM actually aligned to work together in several major projects. 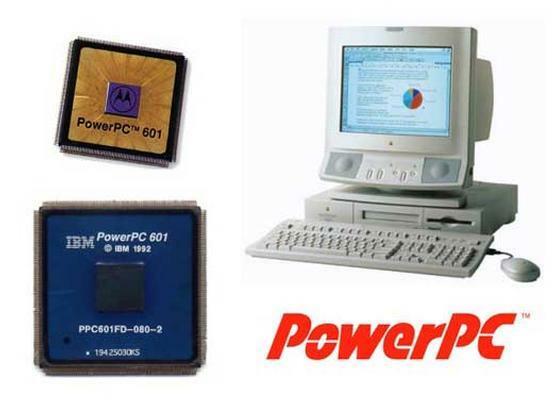 The AIM Alliance between Apple, IBM and Motorola scaled down IBM's POWER RISC server chipset into the PowerPC processor that was used in Macs starting in 1994 and continuing into 2006. Apple also collaborated with IBM to develop "Macintosh Application Services" to host PowerPC Mac software on IBM's AIX Unix workstations, and in parallel shipped IBM's AIX on its own high end Apple Network Server in 1996. In parallel with PowerPC, the Taligent project teamed Apple's future plans for "Pink," a new OS intended to replace System 7, with IBM's parallel efforts for Workplace OS. It intended to develop a new OS microkernel capable of supporting Macs, OS/2 and Unix, and developed object oriented frameworks pattered after Steve Jobs' NeXT. Taligent primarily aimed to copy NeXT and steal away Jobs' early supporters (including IBM, and later HP). After the Taligent partnership collapsed, Apple decided to acquire NeXT as the foundation for its advanced new Mac OS X instead. Kaleida Labs was a third high profile partnership between Apple in IBM in the early 1990s, aimed at creating a cross platform, scriptable multimedia development platform. The collaboration effectively raided Apple's QuickTime team of talent and spent tens of millions of dollars before collapsing in failure in 1996. Its role was supplanted by Macromedia Director, and then by the web, particularly through plugins like Java and Flash. Apple's acquisition of Jobs' NeXT in 1996 further helped to align the company with IBM as a co-competitor to Microsoft and an ally to Unix and open source software. In 2005 IBM sold its PC business to Lenovo. It increasingly threw its support behind Linux, and in 2007 created a fork of OpenOffice that it sold as a Microsoft Office competitor named IBM Lotus Symphony. In 2007, IBM's Research Information Services conducted a study that provided employees with MacBook Pros rather than Windows machines. Employee feedback noted comments including, "this can free us from the Windows stranglehold," and "I have been a true PC stalwart for 2+ decades, but after trying Vista, I'm ready for a change." The next year, IBM ported its Informix Data Server to OS X Server and announced plans to bring Lotus Notes (IBM's competitor to Microsoft's Exchange) and the Symphony office app suite to Apple's Mac and iOS platforms. IBM now has a portfolio of dozens of enterprise apps for iOS, and was in fact one of the first App Store developers to embrace the platform in 2008 before Apple had even released its iPhone SDK and App Store. The big news of the new partnership between Apple and IBM therefore is neither that they are now working together for the first time, nor that IBM offers some apps for iOS devices. What's new is the clearly emphasized exclusivity of the relationship, and the future direction for new iOS apps, management tools and cloud services. IBM already provides Android phone support roughly on par with iPhone, and Android tablet support that's nearly the same as its iPad's. It also offers support for BlackBerry, PlayBook, BB10, Windows Phone, Windows RT and even Symbian. IBM's new apps will exclusively target iOS however. That makes sense because IBM will be selling and leasing iOS devices, but also because IBM can now focus on developing native apps for the single platform that is already being broadly used in the enterprise, without spending lots of resources testing and maintaining support for a broad array of OS versions and APIs and a bewildering range of hardware devices. In parallel with the development of Apple's iOS platform over the last seven years, IBM has moved away from selling office apps (abandoning its OpenOffice / Symphony suite) to instead focus on providing managed cloud infrastructure, consulting and management services, as well as "big data" analysis. IBM's SmartCloud hosts public cloud services for customers (comparable to Amazon Web Services) and also offers private cloud services, where IBM sells the customer servers they then own and operate. Equipment can alternatively be leased from and/or managed onsite by IBM. The partnership specifically outlined, "IBM's big data and analytics capabilities, with the power of more than 100,000 IBM industry and domain consultants and software developers behind it," will be used to "create apps that can transform specific aspects of how businesses and employees work using iPhone and iPad." One taste of IBM's big data analytics has appeared over the last two holiday shopping seasons. 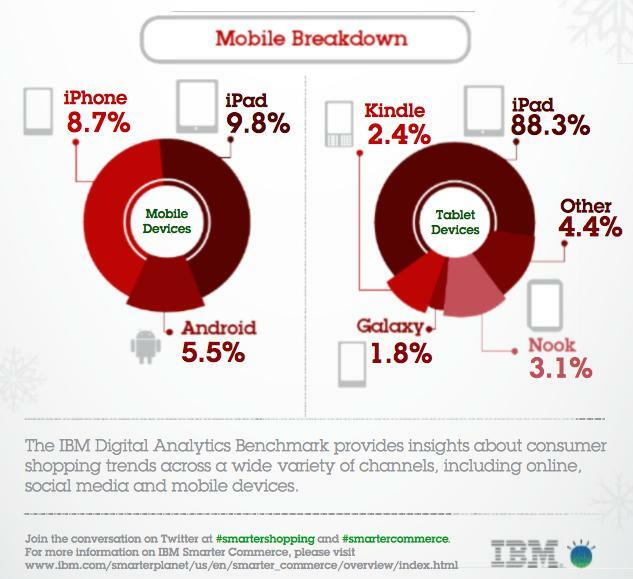 In 2012, the IBM Digital Analytics Benchmark highlighted (below) that most shopping was being done on iOS devices--even before the media was manipulated to report that Apple had run out of "innovation" and that Android and Samsung were "taking over" mobile devices. The following year, IBM's analytics revealed that the divide had grown even greater, with Apple's iOS users now accounting for five times the orders of Android users. The media's handwringing about Apple throughout in 2013 had temporality affected the company's stock price, but wasn't affecting the results that matter in the device market. The ability to correctly identify those kinds of trends--without the facts being contaminated by ignorance or wishful thinking--is critically important to business users. That explains why the partnership's announcement described new apps powered by such analytics as "allowing companies to achieve new levels of efficiency, effectiveness and customer satisfaction." As Apple noted, IBM has "established the world's deepest portfolio in Big Data and Analytics consulting and technology expertise based on experiences drawn from more than 40,000 data and analytics client engagements. This analytics portfolio spans research and development, solutions, software and hardware, and includes more than 15,000 analytics consultants, 4,000 analytics patents, 6,000 industry solution business partners, and 400 IBM mathematicians who are helping clients use big data to transform their organizations." Apple has its own iWork apps for small business and education users, it recently gained Microsoft's Office mobile apps (currently exclusively) on iPad, and is now working with IBM to develop "a new class of 'made-for-business apps' targeting specific industry issues or opportunities in retail, healthcare, banking, travel and transportation, telecommunications and insurance, among others, that will become available starting this fall and into 2015." Rather than just being some new App Store titles listed by IBM, the companies have outlined that IBM will be selling Apple's iOS as part of its own MobileFirst platform, which will "deliver the services required for an end-to-end enterprise capability, from analytics, workflow and cloud storage, to fleet-scale device management, security and integration." That means IBM is providing all the things Apple hasn't ever been very good at or shown much interest in doing itself, from selling consultation and support services, to building and maintaining server infrastructure and custom apps for clients. That includes enhancing AppleCare for enterprise users with "on-site service delivered by IBM." 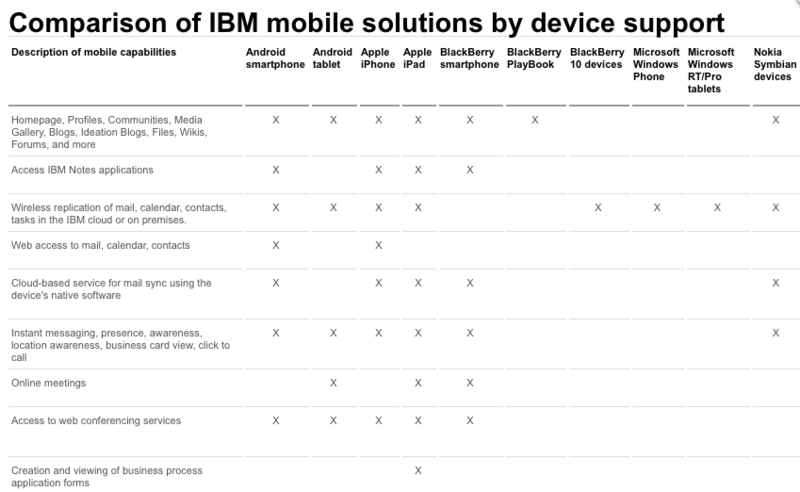 IBM is also providing "device supply, activation and management services for iPhone and iPad, with leasing options." Those again are the kinds of services that HP and Dell were historically much better than Apple at providing for the PC industry. With BYOD, Apple got its foot in the door and iOS devices became broadly adopted by business and government users. 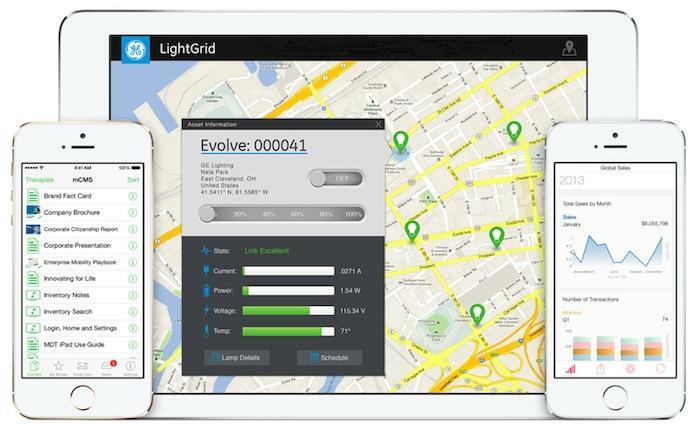 Partnering with IBM, Apple can work on turning its mobile devices into an enterprise volume play. So far, the market appears to have seen Apple and IBM as an obvious threat to BlackBerry, which certainly does have much left to lose: 72 million subscribers as of the first quarter of 2014. iPhones have taken a painful bite out of BlackBerry's enterprise sales, but iPads target something different: conventional PCs. This makes Munster's estimates of Apple potentially selling only an additional '2,000 iPhones and 1,000 iPads' to half of the Fortune 500 via some new IBM apps particularly confusing. Apple quite clearly plans to aggressively target enterprise PC sales--a substantial market--with its Post-PC mobile devices. Tim Cook addresses the iPad's widely acknowledged potential to eclipse PC sales at every opportunity. Apple already has no problem selling fleets of tens of thousands of iPhones and iPads to corporate, government and education buyers. It would only need IBM's help to target the conventional PC for mass eradication throughout the enterprise, driven using innovative, exclusive native apps capable of radically changing how companies use technology. Apple's description of IBM makes it very clear that's exactly what both companies plan to achieve. On its new iPad business site, the company states "Apple and IBM are working together to bring iPhone, iPad, and IBM MobileFirst for iOS apps to enterprises around the world. Our exclusive global partnership will deliver a new class of apps that connect users to big data and analytics right on their iOS devices with more ease and efficiency than ever before. Apple and IBM are redefining the mobile enterprise by combining the exponential power of corporate data with the world's best mobile technology." In its original press release Apple stated, "IBM's 5,000 mobile experts have been at the forefront of mobile enterprise innovation. IBM has secured more than 4,300 patents in mobile, social and security, that have been incorporated into IBM MobileFirst solutions that enable enterprise clients to radically streamline and accelerate mobile adoption, help organizations engage more people and capture new markets." Additionally, "IBM has made a dozen acquisitions in security in the past decade, has more than 6,000 security researchers and developers in its 25 security labs worldwide that work on developing enterprise-class solutions." Apple's own strategy in acquisitions (as well as in patents) has generally targeted the rapid implementation of differentiating features and technologies (such as Touch ID, the custom silicon in the A7 chip, and features ranging from Siri to face recognition to iTunes Radio to App Store enhancements). By partnering with IBM, Apple can leverage outside expertise in security, social and mobile deployment without distracting itself from its core competency in building hardware, software and platforms. In retrospect, the historical partnerships between Apple and IBM didn't have a very good track record. Taligent and Kaleida were total failures, while PowerPC failed to keep up with the pace of the greater market. IBM Lotus Notes and Symphony did not exactly transform the industry on any platform. But today's Apple and IBM share little in common with their previous incarnations in the 1990s. Apple is now not only very successful and profitable, but has a virtual lock on mobile enterprise products, and in particular devices with a sophisticated native app development platform (as opposed to BlackBerry's messaging-centric platform built as a simple Java VM). Where Microsoft once ruled the enterprise and partnered with a series of companies that shut Apple out, it is now frantically trying to maintain the status quo for Windows (even as its customers reject Microsoft's current direction) as it flip flops between strategic directions in other markets. 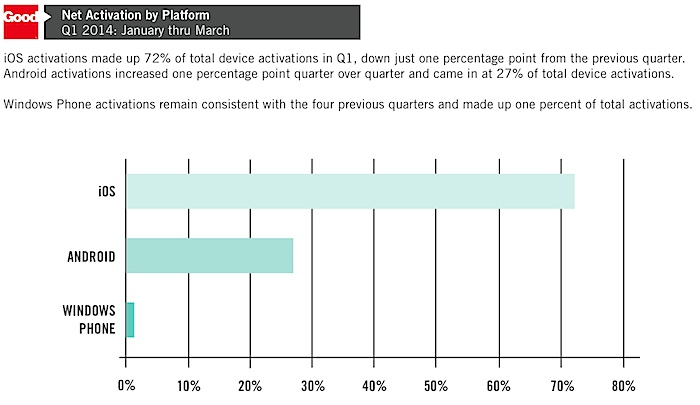 From last year's "devices and services" plan, which notably failed to sell devices, to its latest nebulous cloud strategy that failed to really articulate a specific strategy at all, Microsoft is currently presiding over a stagnant market for conventional PCs that virtually every market research firm sees as being overtaken by tablets, and specifically Apple's iPad. That fact highlights another reality: since the iPad's debut in 2010, marketing companies have deliberately framed it as a niche device with no possible impact on PC market, using selected data teased into conclusions that consistently flattered Microsoft regardless of the data involved. With a major ally in IBM helping to sell its products, Apple will likely face less overtly deceptive media coverage denying the now clear and obvious shift occurring as conventional PCs are replaced and augmented by more mobile--and much easier to manage--post PC devices.